Japan is not just a beautiful place to visit in the summer months – it is even more beautiful when it is covered in snow during the winter. Those heading on tours of Japan in winter are in for a real treat as the country boasts snow festivals, dog sledding and visitors can even see snow monkeys. Here we take you through a number of activities you can do during a winter visit to Japan. Where else could we start other than those cute bathing snow monkeys in Yamanouchi? Japan Realm, the ultimate Japanese culture blog, highly recommends going to see these snow monkeys. “Unless you’ve got a fear of monkeys, you’ll probably get a kick out of taking selfies with Japan’s friendly snow monkeys at Snow Monkey Park ‘Jigokudani Yaen-koen’. 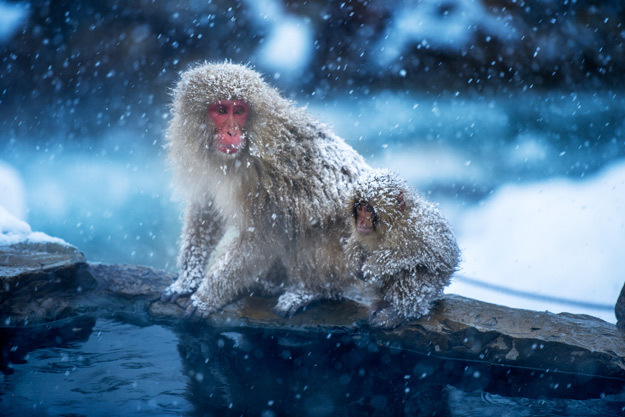 Here you will find a lovely snow-filled panorama with some frosty monkeys trying to warm up by bathing in hot springs,” the experts at Japan Realm said. There are a number of different ways to see the incredible snow monkeys, but check out our Wonders of Japan private tour for more information. Onsen are a popular pastime in the Land of the Rising Sun and is where locals head to hot springs for a natural steam bath naked. Don’t let this put you off as it really is a great experience and you will feel so relaxed after visiting an onsen. Nowadays onsen offer visitors hot meals such as soups and curries. “Yawaraginosato Hoheikyo is a great pick if you’re looking for a snowy landscape onsen. And if you don’t want to take my word for it, check TripAdvisor, since it’s rated the no. 1 onsen in Sapporo,” Japan Realm add. Most Japan tours head to Tokyo as the capital is full of attractions from its neon-light skyscrapers to its traditional temples. However, its Christmas lights specifically are definitely worth seeing if you are holidaying in Japan in the winter. Despite the country not celebrating Christmas because of the birth of Christ, Christmas is seen as a couples’ holiday. As a result, millions head to Tokyo to get a glimpse of the Christmas lights. Japan Realm recommends Shinjuku, Ginza and Shiodome as the best places to see the lights. Sapporo is a hugely popular destination in the winter and one of the best Japanese attractions that is located in the city is its snow festival. 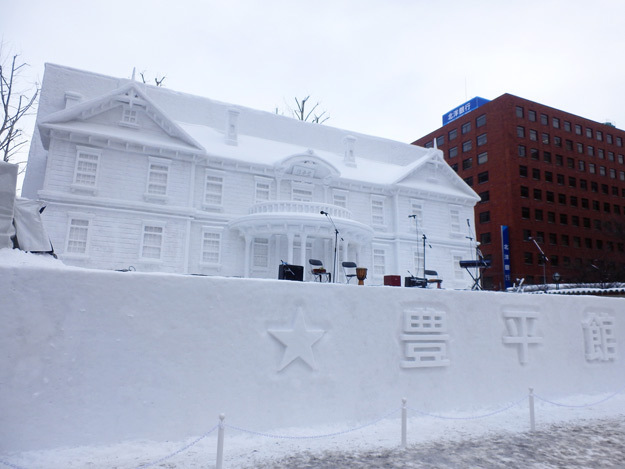 The famous Sapporo Snow Festival, which will be taking place from 5th-18th February, sees millions of people from across the globe head to the city. This festival sees stunning snow and ice sculptures put on display and visitors can also enjoy a number of shows. 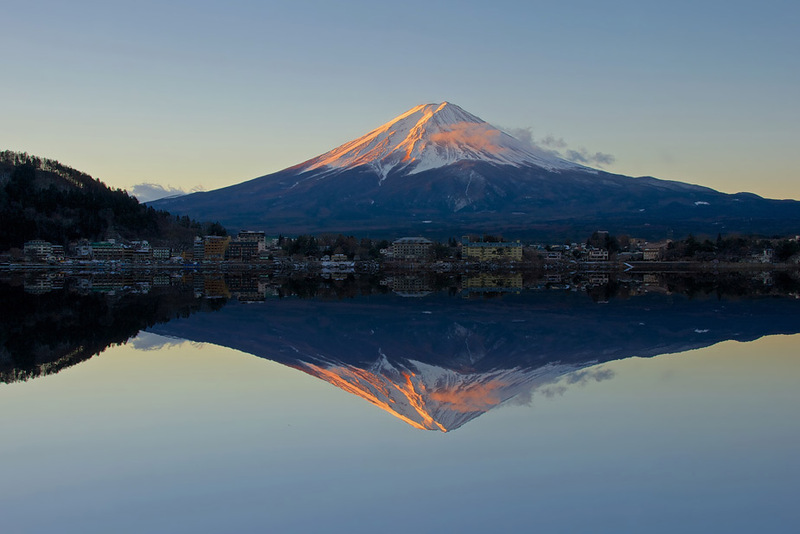 Mount Fuji is the country’s highest mountain, standing at a staggering 3,776 metres high, and is just 45 minutes away from Tokyo and 50 minutes from Osaka, according to the Japan National Tourism Organization. 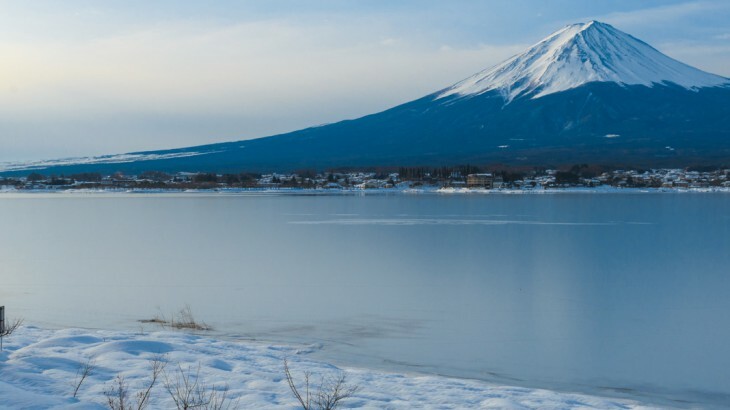 But why is Mount Fuji a must-see in winter? At the bottom of Mount Fuji visitors to the area can head to the Fujisan Hongu Sengen Taisha Shrine, the headquarters of 1,300 Sengen Jinja Shrines scattered across the land. You can see Mount Fuji on our Jewels of Japan tour. Japanese cuisine is hugely popular, but Japan Realm says that it is even better during the winter months. 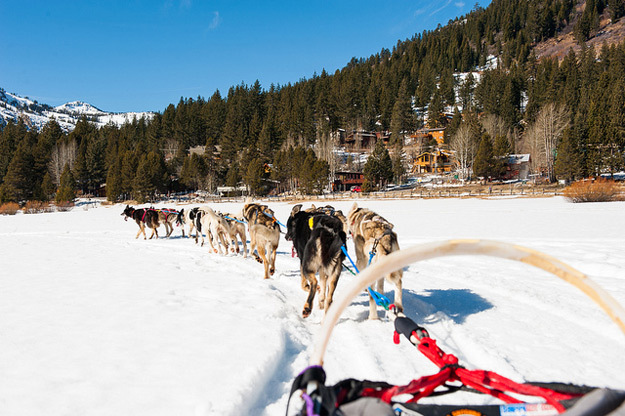 Going on a dog sled is not just an activity limited to Scandinavia or Lapland as you can go on this exhilarating activity in Japan too! Asahikawa is regarded by many as the top spot in Japan to go dog sledding. If you want to experience it then you will need to visit the city from December to the end of March as this is the winter season. Visit Japan in winter, with the UK’s leading Asia Experts, Wendy Wu Tours. Our award winning escorted, fully inclusive tours visit all the major sights for an unforgettable holiday. Japan top things to see, tourism, weather, winter. permalink.